There is lots to do in Twillingate so plan your trip accordingly. 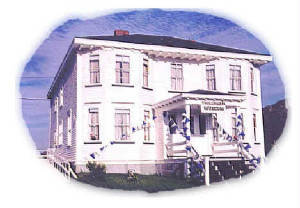 There are several museums including the world famous Twillingate Museum which houses the story of Georgina Stirling, the opera singer who was famous during the 1800's. You can take a boat tour to view icebergs and whales, take in a theatrical performance from one of our many talented drama groups or enjoy some local traditional music while snacking on tea and toutons. Kids will never be bored with the endless beaches to explore and beautiful hiking trails to climb. 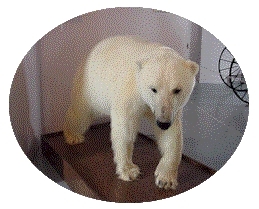 They will certainly love Twillingate’s most popular exhibit - the Polar Bear at the Durrell Museum. Long Point Lighthouse is by far the favorite tourist destination in the Notre Dame Bay area. The two family dwelling at Long Point was built in 1876 and was recently declared a "Federal Heritage Building". The site also boasts a viewing platform to insure our tourists have a bird’s eye view of the foaming Atlantic surf 336 feet below them. 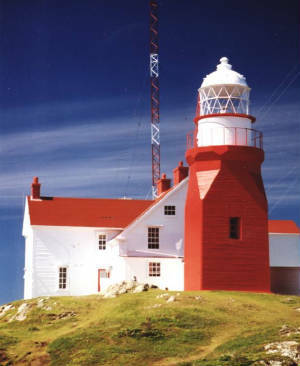 The lighthouse bluff offers visitors the thrill of a lifetime as they watch migratory birds, humpback and minke whales, and majestic ice bergs as they find their way past our rugged coast line. 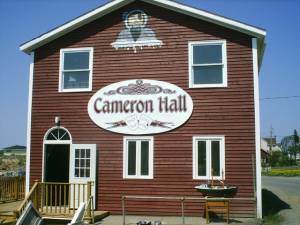 Started in the summer of 1998, this theatre have thrilled audience with their talent in Newfoundland culture. 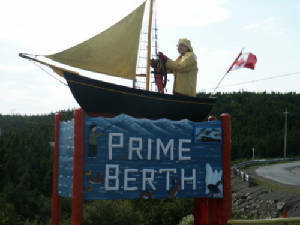 This group of seven Newfoundlanders offer their talents six nights a week during the summer. When attending their show you get to wittness the diverse they have. 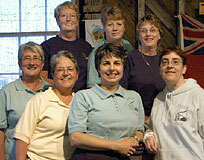 The group not only performs, but prepares and serves a traditional meal. Ted has earned a reputation as one of Newfoundland’s foremost painters. 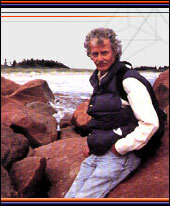 His work appears in private, public, and corporate collections around the world. He is a self-taught artist who works in oils, pen and ink, and wood. Much of his work captures and preserves the essence of Newfoundland’s traditional way of life.